Native species are those that "belong" here. In normal use, that means the species were in Virginia before the arrival of the Europeans. Sailors from various nations visited the coastline of Virginia in the 1500's, and the Spanish landed a party in 1570, but the settlement of Jamestown in 1607 is often considered the reference point for "native" and "non-native" species. It helps to remember that the Native Americans imported crops into what became Virginia - corn, beans, and squash in particular - before the Europeans arrived. 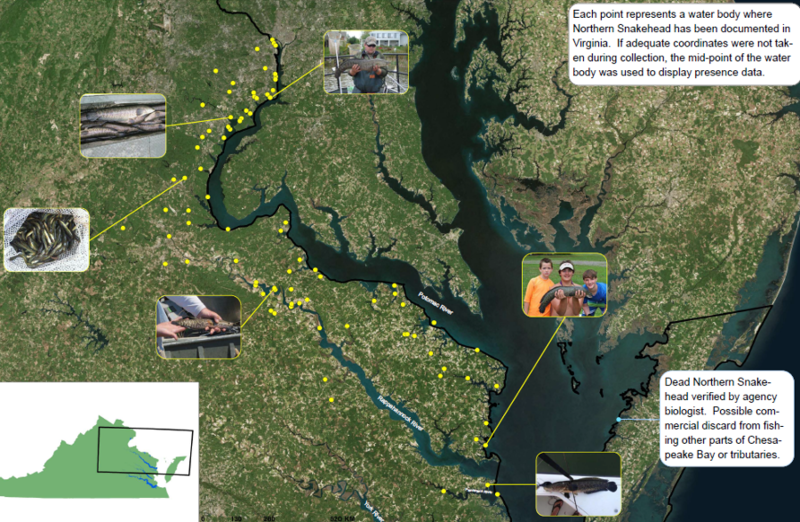 The balance of nature in the state of Virginia has been tilted by non-native species. Some were brought here; cows, horses, honeybees, pigs, potatoes, and most other agriculturally-valuable species are not native to Virginia. Even the species of tobacco that we grow is not native. Other species hitchhiked here uninvited, including Japanese honeysuckle and the veined rapa whelk. Aquatic organisms are hard to see unless you're a waterman, but can involve great expense. 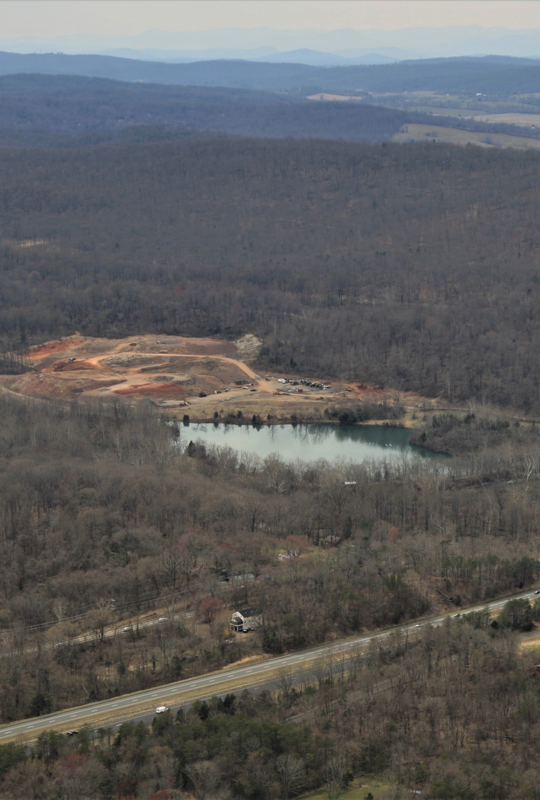 The zebra mussel was extirpated from Millbrook Quarry upstream of Lake Manassas, but companies with intake pipes drawing water from the freshwater rivers still fear they will have to spend heavily to keep their intake/discharge pipes clear of obstruction. Some of our most common plants and animals are not native. 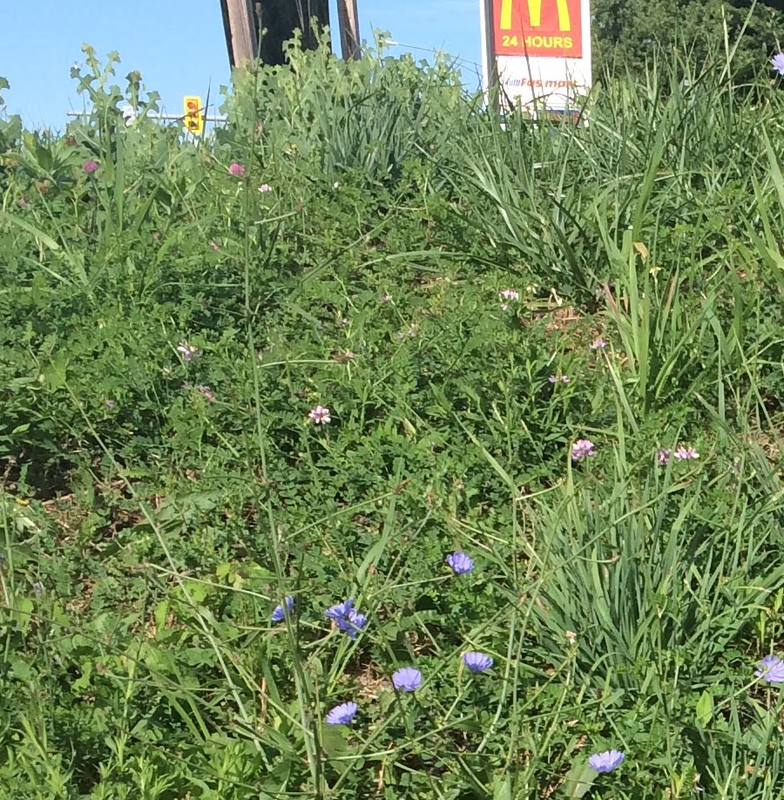 That "English sparrow" pecking away at the crumbs outside McDonalds, the starlings feeding in a flock at the edge of an open field, the Japanese honeysuckle vine climbing along the fenceline, the blue flowers of chickory along sidewalks - none of them are native to Virginia. They are aliens, imports from outside the state. Does that make them lesser species, some form of life to value less? Perhaps, but not necessarily. The Clematis growing wild at Aquia Landing park in Stafford County smells wonderful - but it's a non-native species. The native version is an equally-pretty climbing vine with a white flower, but it lacks the perfume of the non-native species. The hydrilla that is expanding along the bed of the Potomac may clog the channels into marinas. Still, it's clearly serving the function of submerged aquatic vegetation, trapping silt and providing a place for invertebrates to grow. 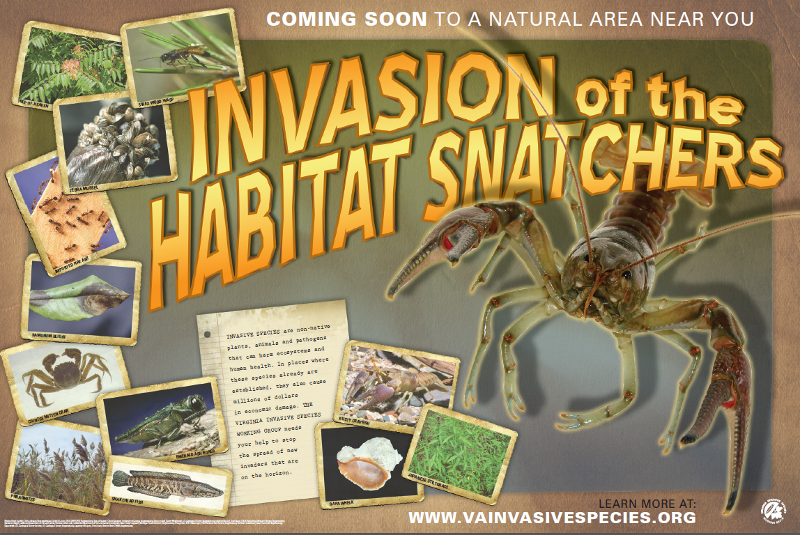 Some non-native species spread beyond where they are planted, but are minimally invasive. 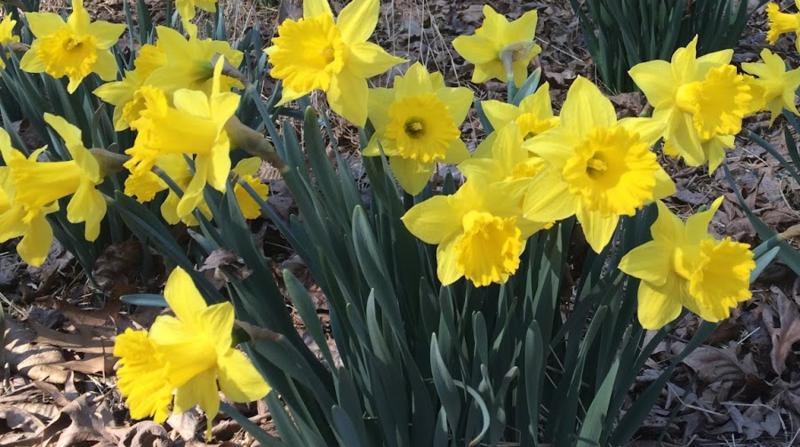 Daffodils and periwinkle are indicators of old homesteads, but do not spread wildly into nearby habitats. Some non-natives are harmful, however. Purple loosestrife and Phragmites spread throughout Virginia wetlands, displacing native species that the animals have used as food sources. The non-native species, while large and "showy," do not provide the same food value to the animals in the area. The native critters are unfamiliar with the non-native plants, and do not utilize their biomass effectively. Plants and animals that have evolved together create a web of life which adapts gradually to change. As a result, the exotics - in these two cases, invasive species that spread rapidly - reduce the health of the native animals in the wetlands. Other non-native species in Virginia include carp, coyotes, feral pigs at Back Bay National Wildlife Refuge, mute swans in the Chesapeake Bay, nutria, and Sitka deer at Assateague Island.